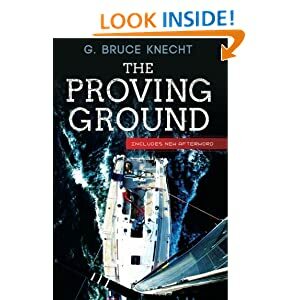 Today’s Kindle Daily Deal is The Proving Ground by G. Bruce Knecht for $0.99. The tragedies of the 1998 Sydney to Hobart Race had a profound impact on every participant. Writing The Proving Ground was also a big deal for me. It was my first book and I spent a tremendous amount of time with the people who became its main characters. Some of them became friends. No, I didn’t stray from my journalistic approach in telling their stories, but my role did evolve into something beyond that of a purely independent observer. The book also introduced me to Sydney. I came to believe, as I still do, that it is the world’s best city. For all of those reasons, I jumped at the chance to write a new Afterword for the tenth anniversary edition of the book. It gave me a chance to catch up with all of the characters, including Larry Ellison, whose Hobart experience led to his campaign to win sailing’s ultimate prize, the America’s Cup. Not every after-story was positive. John Gibson spent 29 hours on a flimsy life raft after the boat he had been on sank on its way to Hobart. Before he was rescued, three of his fellow passengers were swept away by an enormous wave and they were never seen again. Having visited Gibbo at his home and sailed with him on Sydney Harbor, I thought he was a good guy, albeit a quirky one. But then he decided to sue the owner of the boat that had sunk. The suit unfairly criticized a man that I knew to be a hero. Gibbo, a lawyer who was prosecuting the suit himself, told me he was doing it for the widows, but that was not entirely true because he had included himself as one of the plaintiffs. The saddest story was the suicide death of Matthew Rynan, a young man everyone called Beaver. Just 19 when he sailed in the race, he too endured a harrowing experience on a life raft. When I met him a few years after the race, he told me he was still haunted by the memory. “It left me with a weakness somewhere inside of me,” he said. I don’t believe his Hobart ordeal caused him to take his life. However, from talking to him and others, it was clear that the youngest survivors were having more difficulty dealing with the aftermath than their elders. Well before Larry Ellison made it to safety, he promised himself that he would never sail in another Hobart–or in any other race that takes place in open ocean. But he was not about to give up competitive sailing. And when members of his Hobart crew who were also members of Team New Zealand, the then holder of the America’s Cup, told him they would be willing to defect from their national team, Ellison quickly signed them up for a Cup team of his own. For the man who was named for Ellis Island, the idea of returning the Cup to the United States was irresistible. After he did so in 2010, he announced that the next competition, in 2013, would be sailed in San Francisco. Today’s Amazon Appstore Deals is Mini Golf’Oid with price $0. Have you ever contemplated putting a spin on the standard mini golf experience? How about playing through a maze of water and land, or trying to sink a hole-in-one while the hole is moving? 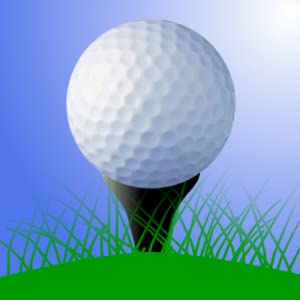 Mini Golf’Oid lets you play a fun and addictive golf game no matter your skill level. Step up the challenge and try out this top-down view golf game. Start off on the practice course where you’ll learn how to control the power and angle of the ball. Your finger is the golf club and controlling the ball is simple. Just tap anywhere on the screen and drag in the direction you’re looking to hit the ball. The longer you drag out the arrow, the more power behind your hit. Be careful of the hazards throughout from sand traps, water, and moving targets. Use the colored holes to transport your ball across the course. Check out some unique course designs in Mini Golf’Oid from a happy face to other wacky and interesting shapes and mazes. You can also choose between a desert course with no water by visiting the Desert World course. The Water Tour course puts you on various islands where accuracy is key if you’re going to make par. Check out your global and local scores for each course and compete to make your way into the top 10.